Happy Friday Beauties, Hope your day is starting off great so far. For today’s topic, I want to bring wardrobe essentials to your attention. we know that spring is finally here, which means soon summer is right on the way. so, of course, you guys are probably shopping and slowly buying things for the nice weather. BUT don’t get boring. yes, your gonna buy dresses, and tank tops, shorts, sandals, etc but its always important to buy statement pieces. weather its earrings, shoes, or even a purse. statement pieces mixed with basics are always very important. 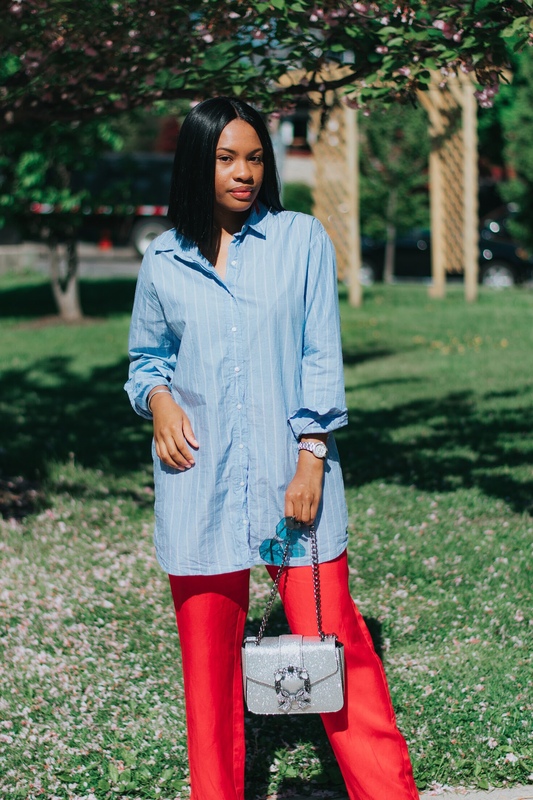 because when you’re wearing something dull and if you have any clothing pieces or accessories to wear with, the basics will no longer be basic because of the statement piece that you added to make the outfit POP! make sense? I always pick up fun items for myself. I want to show you guys a couple of pieces that I personally think you can wear during Spring, Summer, and Fall and some fun things that I picked up as well. SIDE NOTE: Most of this stuff is from The online and in-store clothing store ‘Zara’ If I can find the link to the items I purchased they will be linked here in the post. So first let’s start off with these slingback kitten heels. first of all, I’m totally in love with the strap details. they are definitely giving me Dior vibes. I love these because I like these because if you want to wear a heel but not one that’s literally high to the gods, you can just rock these with a cute pair of skinny leg slacks, or a pair of cute denim. I even think flared skirts would look so fun with these. I absolutely adore these, you guys. they are so fun and sassy! I love the way these were designed with the satin pink and red silicone for the heel. this is a perfect statement pump to have in your closet! you can rock these going out on a nice summer night or even to a day party. I would put these with a pair of fun earrings just to make them look more exciting, but not too loud. Earrings, Earrings, earrings! talk about statement pieces! these earrings can all make an outfit go from so boring to fun and fierce. with these type of earrings wearing your hair in a bun or a pulled back ponytail is a MUST. Now these are the type of accessories you want to show off because earrings like this are meant to be seen. you guys know I shop smart so all of these earrings together came to $10 total! What a deal that was right! Next Olay Products for glowing skin?